If Isaiah was written in Hebrew and the text was translated into English the word "Lucifer", which is Latin, wouldn't be there. It would simply say "morning star". Adding Lucifer to the translation would be like me translating the Japanese word for the color "red" into English using English and Spanish versions of that word. 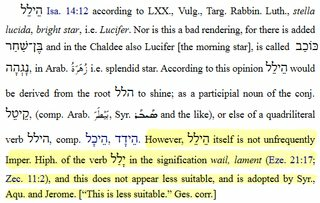 "Lucifer" may be an accurate translation of "morning star" into Latin but why include a Latin word in an English translation? It adds something to the text which isn't in the original which changes the meaning and leads us to assume things that we wouldn't otherwise if we could read Hebrew. In Isaiah 14:12 is it true that including or adding the word "Lucifer" here was a mistake or embellishment by the King James translator? If this passage isn't about the devil then it changes what I think I know about him. Thus, the Hebrew word הֵילֵ֣ל was considered to be a proper noun (a name). But, instead of being transliterated into English as Heilel, it was actually translated into Latin as lucifer, and then that word was written as a proper noun (name) by capitalization of its initial letter, i.e. Lucifer. Lucifer is a Latin word, not a Hebrew word. It is formed from the Latin suffix -fer, meaning "bearing" or "bearer,"1 joined to the root luc-/lux- meaning "light." It means "light-bearer" or "light-bearing." It should not occur in the King James Version English translation of the Old Testament since the Old Testament was originally written in Hebrew, not Latin. So, either הֵילֵל should have been translated into English as "light-bearer" (if it is a common noun) or transliterated as Heilel (if it is a proper noun), but certainly not Lucifer. If it is a common noun, does הֵילֵל translate into English as "light-bearer" or into Latin as lucifer? Some might believe that. St. Jerome thought so. After all, when he produced the Vulgate, the Latin translation of the Hebrew Old Testament, he translated הֵילֵל into Latin as lucifer. And, it's because of St. Jerome and his Vulgate that lucifer ultimately ended up in the KJV. Well, that answers that question, doesn't it? Not so fast. It's true that St. Jerome translated הֵילֵל into Latin as lucifer, but in his commentary on Isa. 14:12, he confesses that הֵילֵל meant something else entirely. in Hebraico, ut verbum exprimamus ad verbum, legitur: Quomodo cecidisti de cælo, ulula fili diluculi. St. Jerome himself confesses that the Hebrew phrase הֵילֵל בֶּן שָׁחַר translates word-for-word (verbum ad verbum) into Latin as ulula fili diluculi, which itself translates into English as "Howl, son of the morning!" And, again, it was St. Jerome who wrote lucifer in the Vulgate. But, he admits that lucifer doesn't express the literal meaning of the Hebrew word הֵילֵל. Ulula does. Why did St. Jerome state that הֵילֵל translates into Latin literally as ulula? Not only does the Hebrew word הֵילֵל occur in both verses, but St. Jerome also translated each occurrence into Latin by the imperative ulula, meaning "Howl!" (from the lemma ululo). And, it was ulula ("Howl!") that St. Jerome confessed was the literal translation of the Hebrew word הֵילֵל in his commentary on Isa. 14:12. What more needs to be said? Is there any other support besides St. Jerome's own confession? Indeed there is. Aquila, who translated the Hebrew Old Testament into Greek in the early 2nd century A.D. (he died ~132 A.D.), translated the Hebrew phrase הֵילֵל בֶּן שָׁחַר into Greek by the phrase ὀλολύζων υἱὸς ὄρθρου, which translates into English as "O' wailing one, son of the dawn." The Greek word ὀλολύζων is a present participle conjugated from the lemma ὀλολύζω. While Aquila did not translate הֵילֵל as an imperative like Jerome (Latin ulula), he still understood it to be conjugated from the root יל"ל, meaning "Howl." 1 Many other Latin words with the same suffix -fer may be examined [here] using the Perseus search tool. 2 An argument based on cantillation marks does not seem sufficient for Christian expositors. Consider how the cantillation marks of Isa. 40:3 in the Masoretic text oppose the common Christian translation of Isa. 40:3. We should understand that cantillation marks did not exist until, perhaps, the 9th-10th century A.D. They are in fact a tradition. 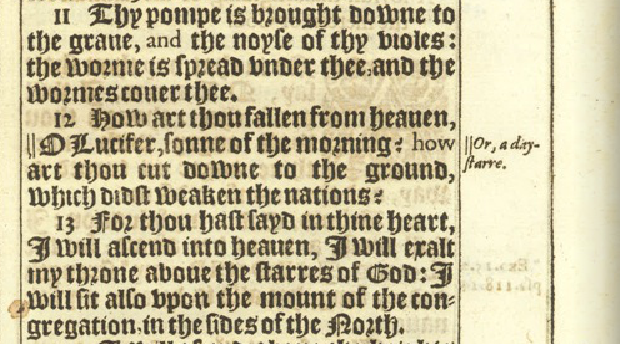 The best translation in this passage is not “Lucifer” (or any similar translation with the image of the brightness of light), but instead “the one wailing aloud” falling from heaven. In the Masoretic Text the word הֵילֵל appears, but in the Dead Sea Scrolls the word appears instead as היליל. The following image (below) comes from Column XII, Line 12, of the Great Isaiah Scroll, and is the only appearance of this particular verse among all the Dead Sea Scrolls. The extra yod in this word appears to be the ubiquitous “vowel helper” or mater lectionis found through Biblical Hebrew and more commonly in the Dead Sea Scrolls. However, if this letter is not a “vowel helper,” then this word appears to be some verb form. That is, the Hebrew word היליל would appear to be the Hiphil aspect of the Hebrew verb יָלַל, which means to wail or howl. In the Hiphil aspect, this particular spelling can be third person singular (perfect); the infinitive construct; or the third person singular (participle). If we assume the last option, the verse would read as follows. You [wailing] lamenter, son of the dawn! The great Hebraist of the 19th Century, Wilhelm Gesenius, never saw the Dead Sea Scrolls. Yet consistent with the Dead Sea Scroll passage, Gesenius recognized that the word in this verse may not refer to the noun הֵילֵל (“Lucifer” or its variant translations), but also to the verb יָלַל (“to wail, to howl”). 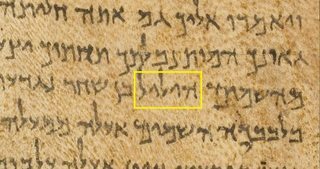 What is breathtaking is that the Masoretic Text agrees with the Great Isaiah Scroll (and to the allusion made by Gesenius) -- that is, the margin note (Masorah Parva) of the Masoretic Text points to the exact spelling of another word in another location of the Hebrew Bible. Please note that the beth in the right margin (with the point on top) indicates that there are two instances of this word in the Hebrew Bible where the word appears with the same lettering and vowel pointing (homograph). 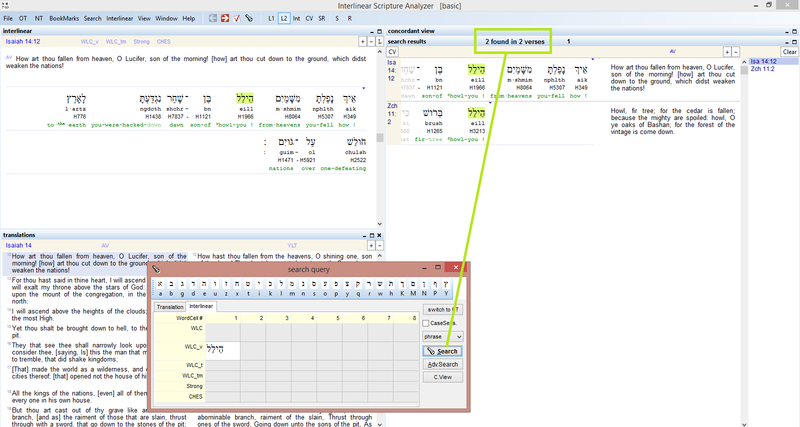 Since the Masoretic editors did not tell us where the other words exists, we must use Bible software tools such as the Interlinear Scripture Analyzer, and we see that the other occurrence of this word is Zech 11:2, which word is based on the triliteral root of יָלַל (to wail, to howl). 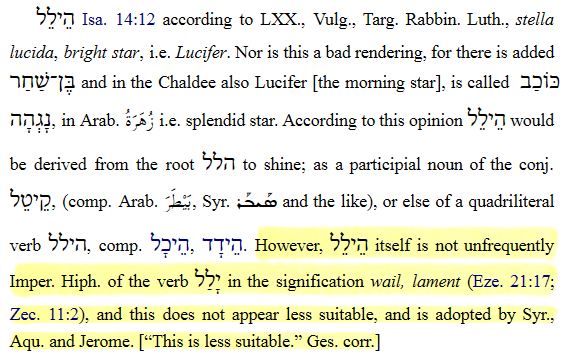 In this regard, within the Masorah (or margin notes and/or end notes of the Masoretic Text) the Masoretic editors do not mix-and-match words with different triliteral base meanings even if their spelling happens to be the same. In addition, the Masoretic note for this word makes no mention of any defective spelling of this word, which would be the case when the word is missing the “vowel helper” or mater lectionis. For example, in the Masoretic Text the word שִׂים occurs 36 times in the Masoretic Text, but these 36 occurrences (with the exact same vowel pointing) include the spelling of the word based on the trilateral root of both שׂוּם (to set, to appoint) and שׂוּם (to put, to place). However, when we search only for the latter word (to put, to place) using the Strong reference number H7760, we find 24 occurrences of this word. In each of these 24 instances where this word occurs, the Masoretic Text will have a margin note of "24" (̇כ̇ד̇̇̇), which means that 24 instances of this word occur in the Masoretic Text (and in this particular example, the words are in the imperative form). 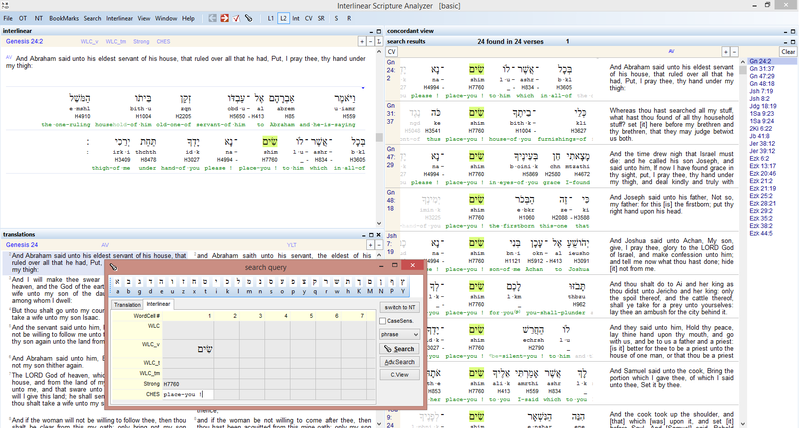 In other words, if words are spelled the same (homographs), the Masoretes do NOT mix-and-match homographs in Hebrew that stem from different triliteral base meanings. Therefore, the Masoretic editors in the Tenth Century recognize the word found in Is 14:12, which is a participle, to be the same homographic word found in Zech 11:2, which is an imperative. Both words come from the same triliteral root יָלַל (to wail, to howl) according to the Masoretic editors. Why must the word in Isaiah be the participle? 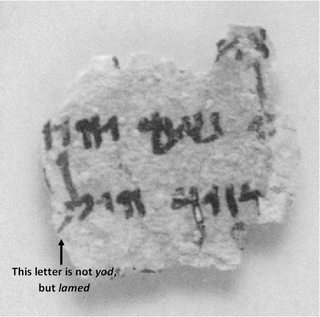 The word in question appears in the Dead Sea Scrolls as היליל in the Book of Isaiah, which is the participle form (as noted above). 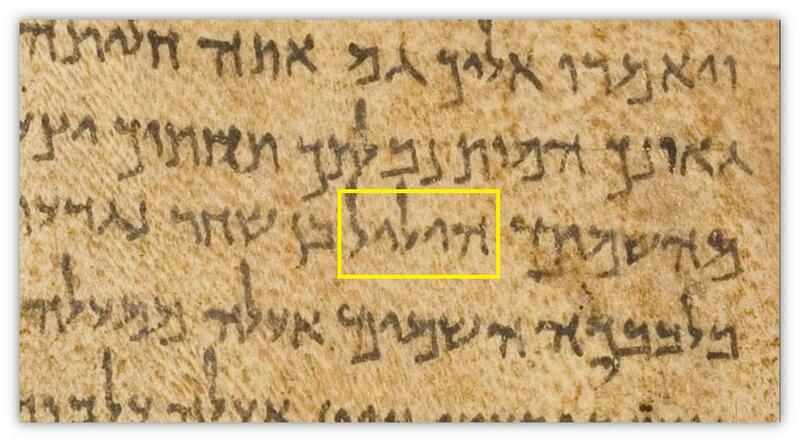 However, the word appears as הילל in fragments of the Dead Sea Scrolls for the Book of Zechariah. Please click on this image below in order to view the source. In other words, the word here in Zechariah is in the imperative, and the word in Isaiah is the participle. 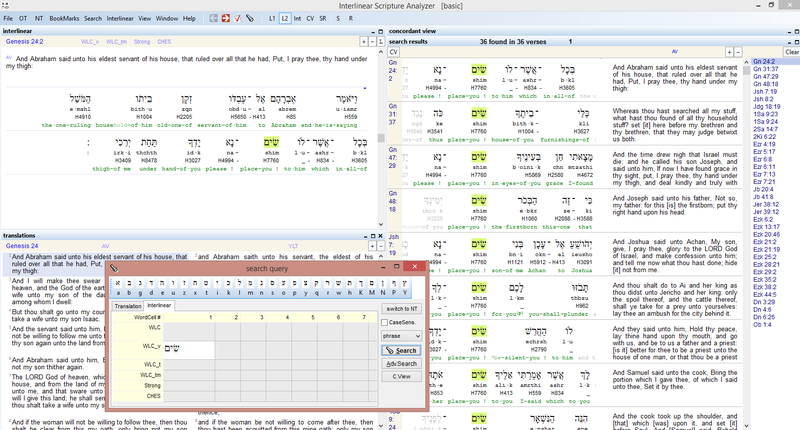 In this regard the Masoretes in the 9th and 10th Centuries did us the favor by connecting the word in Isaiah to the word in Zechariah as coming from the same triliteral root word; however, the Dead Sea Scrolls enable us to identify the best reading of the Biblical texts, and in this case, the word in Isaiah appears to be the participle form of the word (and not in the imperative, as appears in Zechariah). In summary, the Masoretic Text follows the Great Isaiah Scroll (and later observations recognized by Gesenius centuries later) which connect the word found in Is 14:12 with the word found in Zech 11:2, which both stem from the same triliteral root יָלַל (to wail, to howl). If the Masorah of the Masoretic Text makes no allusion to Ezek 21:12 (21:17 in the Masoretic Text), where this same triliteral root word occurs, it is because the word there is not an exact homograph of the word found in the Masoretic Text of Is 14:12 and Zech 11:2. That is, the word וְהֵילֵל֙ (found in Ezekiel with the waw prefix) is not an exact homograph of הֵילֵל (which are found in both Isaiah and Zechariah). In conclusion, the words found in Isaiah and Zechariah stem from the same triliteral root, which is יָלַל (to wail, to howl). However, the Dead Sea Scrolls appear to show that the word form in Isaiah is participle, and the word form in Zechariah is imperative. In other words, the person mentioned in this passage of Isaiah appears to have shrieked loudly with great wailing when he fell from his position of prominence in heaven. OE Christ & Satan 366 Wæs þæt encgelcyn ær genemned, Lucifer haten, leohtberende. a1300 Cursor Mundi 442 And for þat he was fair and bright, lucifer to nam he hight. c1380 Wyclif Wks. (1880) 30 Þese nouelries maad of ydiotis & synful wrecchis of lucifers pride. c1450 Mirour Saluacioun 4377 With feendes and lucifere..in helle. 1567 Compend. Bk. Godly Songs (1897) 175 Proude Lucifer, the greit maister of hell. The earliest citation there, Christ & Satan, is an Old English poem which could date from as early as the seventh century. 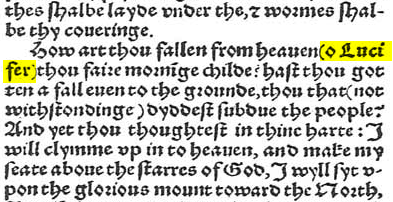 I don't know when Lucifer was first used as a proper noun in other languages, but as just one pre-KJV example, it's used in Dante's Inferno. So, when the Reformation-era English translations were produced, the translators, in keeping with the common (though not universal) interpretation that Isaiah 14:12 used a proper noun for Satan, translated it with the existing common translation: Lucifer. Would it have arguably been more accurate to transliterate the Hebrew word הֵילֵל as Heilel? Perhaps. But using the name Lucifer did two things at once: readers would understand it as a name, while also understanding the semantic link between the name and the concept of 'light', due to the many other words in the lux word family. Transliterating הֵילֵל directly would have completely obscured the meaning of the name. Names are always tough to translate. Many of our current forms are two or three steps removed from the Bible. Every name could be transliterated directly, but that would mean that almost none of the Biblical characters' names would be recognisable! When it comes to names, accessibility is usually judged to trump accuracy. No one bats an eyelid at translations which say Xerxes rather than Ahasuerus, and no common English translation uses Jacob rather than James! The reason modern translations don't say Lucifer in Isaiah 14:12 isn't because it's a Latin name, but because it's no longer thought of as a proper noun. If the proper noun interpretation was more dominant, then I'd have no doubt at all that our translations would still use Lucifer rather than Heilel! 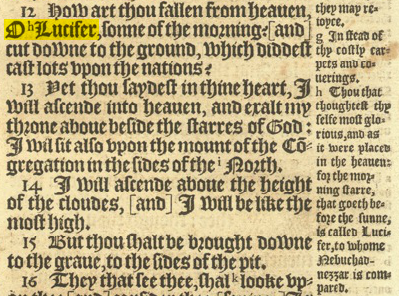 So it appears many subsequent translations kept the Vulgate's "Lucifer" for the Hebrew הֵילֵל (hêylêl). I would imagine that the translators kept the word "Lucifer" because they believed that the passage was in fact referencing Satan and his original sin (pride). Others also see a reference to Satan in Ezekiel's lament for the king of Tyre in Ezekiel 28:11-19. A new name is given to reflect a new nature....such as for example Abram to Abraham. Lucifer bearer of truth to Satan bearer of lies. This chapter of Isaiah is an encouraging account of how the Jews will return to the Land and, to be blunt, thumb their noses at the King of Babylon. Verse 4 says, "And you shall bear this parable against the king of Babylon, and you shall say, "How has the dominator ceased, has ceased the haughty one!" The razzing of the Babylonian king continues in the verses that follow -- The cedars of Lebanon rejoice because the king has been buried without a coffin. Gehinnom (the Jewish version of Hell) awaits the king and the giants and other kings (literally described as lowly animals) will stand in his honor. But then they say to him, "have you become weak like us [stuck in this miserable place]?" Now at verse 12, we get to your question. Christianity compares the Satan to a fallen star, but that's not in the Hebrew here. I assume that the references to Gehinnom prompted that view. Rather, from a Jewish perspective, Rashi there says that this chapter is a lamentation of the Babylonian King and he is being compared to the fallen morning star (i.e. Venus) -- or rather, he himself thought that he would be greater than Heaven itself -- so at verse 13 it says "And you said to yourself, 'To the heavens will I ascend, above God's stars will I raise my throne, and I will sit on the mount of the assembly, in the farthest end of the north." Such hubris!! Instead, his plans of achieving greatness beyond God's greatness come to a heaping crash in verse 15. To address the comments -- it is difficult to understand why Christian translators would intentionally name "Lucifer" as the subject of the verse when verse 4 has already told us that the subject is the King of Babylon. It would appear, therefore, that this is an interpolation to support the adoption by many Christian theologians, e.g. Martin Luther (see Luther, Large Catechism, Lord’s Prayer, Book of Concord, 448–49) and John Calvin (see Calvin, J. Institutes, 1:14:14) of the view that Satan was a loose cannon at war with Christianity and the creator of all evil. From a Jewish point of view, this runs afoul of Isaiah 45:7, which tells us that God created both good and evil, and Deut. 30:15-20, which tells us that God gave us free will with which we are to use to choose between good and evil, which God also created, lest we become sock puppets. As Rabbi Benjamin Blech writes in his book, "If God is So Good, Why is the World So Bad," the concept of free will and our success at choosing between good and evil is what is most important to God, and from a Jewish POV, it is heretical to believe that God is not all powerful and unable at times to defeat evil. Worse, if one personifies evil as the Satan, then one has elevated Satan to god-like levels, which is also heretical. The Satan's name translates as "The Adversary." In Job 1:6 he is described as one of a group of angels collectively called בְנֵי הֲאֶלֹהִים (the "Sons of the God") who are agents of God when He applies His attribute of Justice. It was one of these angels who protected Israel and guided it with its torch of fire in the desert. Exodus 14:19. In contrast are Angels of the Lord who come representing God's Mercy. See e.g. Gen. 22:11-15. The concept of Satan in Judaism is that he, like other angels, act only on God's instructions to administer Divine Justice on those so deserving. Also the Satan is the prosecutor when we are called to account for our sins. I would ask everyone to re-read the chapter in light of what Christ said to the disciples in Luke 24 and John 5 and Hebrews 10, that it is spoken of Christ and no one else did the Old testament writers write about. So when we look at Isaiah 14 it is no different, the passage speaks of the Messiah to come and fall as a man; remember first that God spoke in parables, and look at the passage that in Isaiah 14:9 "Hell(sheol, the grave) from beneath is moved for thee to meet thee at thy coming: it stirreth up the dead for thee, even all the chief ones of the earth; it hath raised up from their thrones all the kings of the nations". Where did Christ descend to first... Sheol, the grave Ephesians 4:9 "(Now that he ascended, what is it but that he also descended first into the lower parts of the earth?" Isaiah 14:10 "All they shall speak and say unto thee, Art thou also become weak as we? art thou become like unto us?" Matthew 27:42 "He saved others; himself he cannot save. If he be the King of Israel, let him now come down from the cross, and we will believe him." John 6:41 ¶ The Jews then murmured at him, because he said, I am the bread which came down from heaven. John 6:42 And they said, Is not this Jesus, the son of Joseph, whose father and mother we know? how is it then that he saith, I came down from heaven? Isaiah 14:11 "Thy pomp is brought down to the grave, and the noise of thy viols: the worm is spread under thee, and the worms cover thee." If you study both words for worm in the scripture you will tie in the sacfrice that is relating to the shed blood of Christ. Isaiah 14:13 "For thou hast said in thine heart, I will ascend into heaven, I will exalt my throne above the stars of God: I will sit also upon the mount of the congregation, in the sides of the north:" Matthew 26:64 ¶ Jesus saith unto him, Thou hast said: nevertheless I say unto you, Hereafter shall ye see the Son of man sitting on the right hand of power, and coming in the clouds of heaven." Isaiah prophesies of the coming Messiah, as if already everyone forgot what Isaiah 9:6 said, that He is called the mighty God... But here it talks of Christs punishment for His people. Isaiah 14:14 "I will ascend above the heights of the clouds; I will be like the most High." Well then what is the real problem here if everyone reads the New Testament and believes that Christ's Deity is eternal God, so Isaiah 14:14 talks of His resurrection and of His prayer in John 17 when he says to the father to give him the glory back that he had before the world was. I don't understand where everyone pulls in pagan, babylonish ideas of satans, angels, devils and ythe like, when people don't understand that in the English language these words were "transliterated" and NOT translated. A big difference of understanding the scriptures. I wish I could explain in this note the reason of all these misunderstood words and false doctrines but it would take a bit of room. Perhaps I will do a study of each of these words and show only from scripture the problems we have today. Thank you. Not the answer you're looking for? Browse other questions tagged hebrew isaiah kjv satan or ask your own question. What does the phrase “son of the morning” mean? Does Isaiah 7:14 refer to a virgin? Genesis 1:5 How can God call the light “Day” when light and day are two different concepts? Why is 2 Peter 1:19 commonly translated with “day star” rather than “Lucifer”?